We liked last week's sunflower theme so much that we decided to do another theme for this week! Sometime next May-August Jen's mom will be getting married. 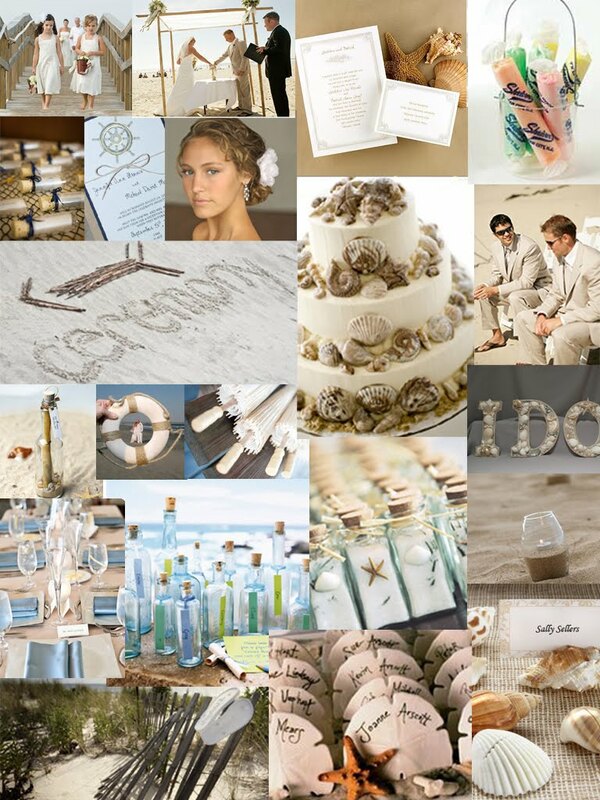 Although they have not yet set a date one thing has been agreed upon; it will be a beach wedding! With some creative thinking and mother nature providing a serene backdrop, making a beach wedding romantic and beautiful is a breeze. Here is an inspiration board for all you beach bums out there. Remember these things can translate to other areas and not just weddings. These ideas are also great for summer dinner parties and shore house decorating! Keeping it light and neutral and introducing cool, subtle colors like those of sea glass or salt water taffy is key to creating a casual and cool seaside look.